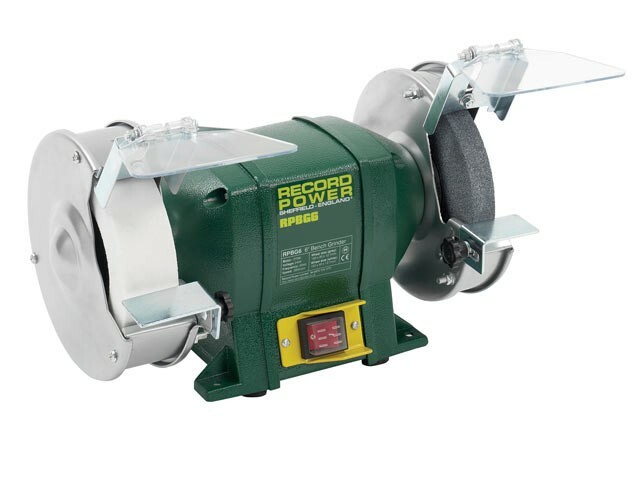 The Record Power RSBG6 Bench Grinder is a 150mm bench grinder with a smooth running induction motor. 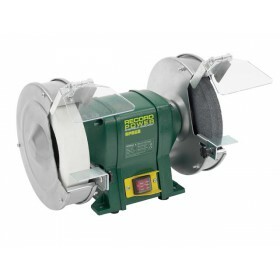 Now in the green and silver livery of this premium machine and boasting a five year guarantee, this compact 150mm bench grinder features a quiet, smooth running, powerful 370 watt induction motor to ensure smooth running and optimal performance. Adjustable tool rests and spark guards complement two kinds of grinding stone, a 20mm grey wheel and a 40mm wide whitestone with a fine grit for more delicate applications.